It is so tempting to write one letter and call it an article. A big “R” in the middle of a blank screen would be a great review of the genre called minimalism. However – what would that communicate? About as much as a minimalist painting communicates. And I would like to clearly communicate the significance of minimalism in the current World of Art by discussing the Columbus Art Museum’s (Ohio) latest exhibition of recent paintings by Joseph Marioni. Joseph Marioni was born and raised in Cincinnati, Ohio, and educated at the Cincinnati Art Academy and the San Francisco Art Institute. He has lived in New York since 1972, and has shown primarily in Germany and Australia from 1972-1996. He has been “discovered” in the United States only recently, exhibiting in 1996 and 1998 at Peter Blum Gallery in New York, and 1998 a retrospective at Brandeis University Rose Art Museum. Joseph Marioni’s, exhibition at the Columbus Art Museum runs through July 18th. He is reviewed by Barry Schwabsky, “Colors and Their Names,” Art in America 87, no. 6 (June 1999): 86-91. 49. who gives his admiring view of the artists’ work. ‘A painting is worth more than one thousand words’ – many variations of an old phrase still used as an analogy of how difficult it is to simply describe a painted image. In Minimalist painting, however, this is not the case. It doesn’t take much ink or space on a paper to describe a canvas that is one color with maybe a hint of another color showing through. As a painter, I know it doesn’t take much time, effort or artistic ability to create a minimalist painting. I have gessoed many a canvas in my day, and painted a few walls as well. However, Barry Schwabsky finds a lot to say about Joseph Marioni’s works. I won’t review all of the justifications and explanations of the work, as Mr. Schwabsky does in his article, instead I would like to ask the question ‘why do we need more works such as this?’ It has been done before – it was considered radical in the 1950s and 1960s. What does it mean now? What does it add to the 21 Century? To offer a systematic approach in exploring this issue, let us first define the age old question ‘What is Fine Art?’ Under Hegelian philosophy, and it’s popular offshoot “phenomonology” (which Western Modernity uses as a quivering, shifty foundation), art is anything labeled ‘Art.’ Put a blank canvas – or one painted by a monkey, a phone booth, a cup of pee, a pile of melted cheese, used tampons, or a toilet full of human waste in a gallery, or museum and add a label to it and “WOW!” it is suddenly art. Not just art but art with a capital “A!” And, if you can’t relate to it, or you question it, you must be stupid or incompetent. This reminds me of the famous children’s tale by Hans Christian Anderson “The Emperors New Clothes.” For those of you who are screaming silently in your heads, as I am; “Hey! The emperor has no clothes!” In other words – HEY THAT IS NOT ART!, we are hushed into submission, because we know if we protest, doors will be slammed in our faces in the modern art world. The lesson is taught us very explicitly in the US educational system, from elementary art education through finishing our Masters in Fine Arts degrees, no matter where one studies, we learn to keep our mouths shut about bogus modern “art” styles. 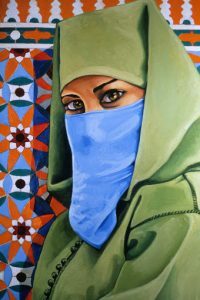 Yet how can we as “educated artists” accept a canvas painted, as one would paint a wall, a work of art. 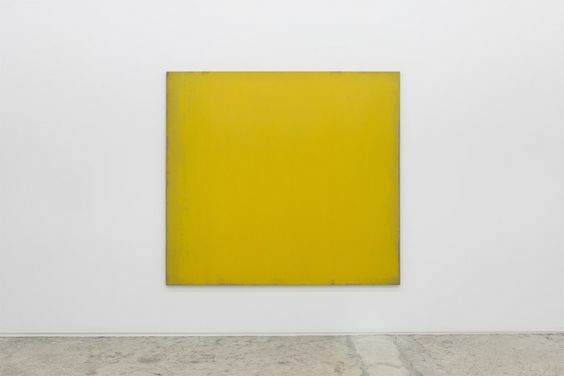 If we do recognize minimalist painting as a form of art, how can we expect the public to take us seriously? After accepting and pushing ‘offal’ as art, we wonder why the domain of Fine Art has lost it’s importance, it’s respect and most importantly it’s power to make a difference in the 21 century? Artists, technology is not the problem! Fine Art is a technology of expression, as are other art forms: literature, theater, music etc. – Fine Art must communicate something. It must not only communicate an idea intelligently, it must also display excellent craftsmanship and the refinement of disciplined and developed talent. Everyone who views the work should be able to understand what the artist is saying. 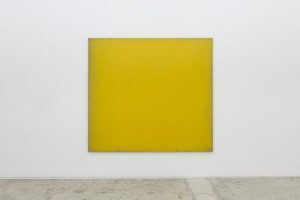 Abstraction, nonobjective and minimalism were revolutionary genres of art from the late 1800s to the middle of the 1900s. Most of the founding artists of these genres were scholars, philosophers, and excellent technicians. 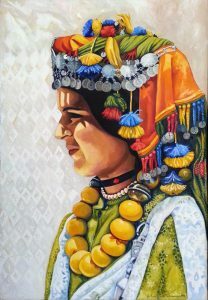 They were well versed in traditional drawing and painting. They had a reasonable artistic reaction to the rigid structures of the of the established art world, as well as the sociopolitical and economic world of their time. Viewed in context, their work is not only justified, but makes an important mark in art history. The original works clearly communicate resistance to the establishment and a call for change. Their work was art, their work did change the face of the art world, and in that light they were successful. Indeed they were successful far beyond their intentions and expectations. A question that must be asked in the context of our time is “What does the minimalist approach mean now?” When viewing Joseph Marconi’s works, and many other artists today producing work like his, we see clearly that this approach no longer revolutionary, it is not reacting against anything, nor is it even saying anything. Instead it has now become a poor copy of the past without reference or reason. It is like a silent note calling itself music, or scrambled letters on a page claiming to be literature. At best it narcissisticly refers only to itself. It is either the most pathetic and defeated nihilism, or outright fraud practiced deliberately on a gulliblelaity. So, why all the interest in this type of work? Why would a State Museum, a Blue Chip Gallery, and Art in America want to promote work that a house painter would get fired for? To answer this question we must look further into the current art market, what supports it, and who’s interests it represents, and protects. What can be done about it? To artists as laborers in a free market system, the dollar speaks louder than a 1000 words, louder than 10,000, it speaks of survival. If someone were to approach me tomorrow and ask me to produce a 5′ x 5′ canvas painted entirely of red and would pay me 5,000 dollars could I turn that down? No! I can paint “offal.” For 5,000 dollars I would. Does that make me a hypocrite? Of course, sadly this system of economic inequality forces even the most proud, intelligent, and determined people to become hypocrites. Meanwhile, after I paint that canvas red (in 15 minutes) I will continue to educate myself, and use the 5,000 dollars to produce work that calls for fairness, justice and equality in this world. Recognizing there is a problem is the first step. Most people have already observed and experienced symptoms of the problem, poverty, homelessness, crime, racism, sexism, homophobia & Transphobia and are struggling to survive them on a daily basis. We artists must identify the source of the symptoms, determine what our social ideals are, and what constructive social solutions should be, then produce work that communicates those ideas clearly. For those of you who are buying art, don’t go to corporate galleries to tell you what art is, and which art has value. Trust your own eyes and especially your common sense! Buying art is not as mysterious as having your car repaired. You do not have to go to an art dealer, open your wallet and close your eyes, hoping for the best. Spend a little more of your time, (and less of your money) to find artists out there who are creating real art, and support them. Copyright © 1999 JoAnna Pettit-Almasude all rights reserved.